You will be sent marketing and promotional material that will explain how you can cost-effectively promote your Mercury Safe Practice. This includes how to access the health practitioner and tap into a gold mine of patients. Doing so will increase patient referrals and generate more revenue. When you purchase the DVD you'll receive free access to the largest database of organized, referenced and abstracted articles related to mercury amalgam fillings, chronic mercury poisoning, and mercury detoxification. 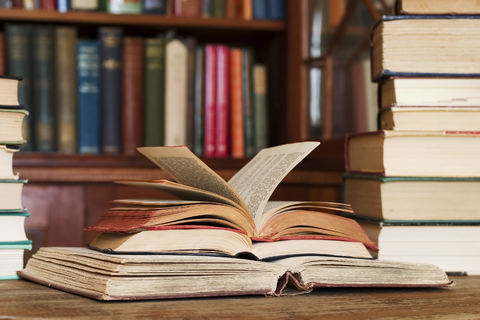 Compiled by Dr. McGuire, there are over 1100 referenced studies with a Table of Contents that allows you to easily access over 150 pages of articles. Those who purchase the DVD will receive a Certificate of Course Completion, suitable for framing. It is important to let your patients and the community know you have taken the only course available about How to Make Your Practice Mercury Safe. The certificate is another opportunity to promote your practice as Mercury Safe. We recommend that you display it in a prominent place. You can also refer patients who are interested to the New Directions Dentistry website to learn more about why you are concerned about protecting them. 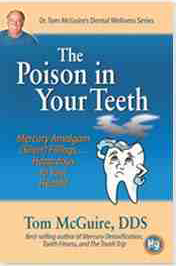 Complimentary copy of The Poison in Your Teeth: Mercury Amalgam (Silver) Fillings . . . Hazardous to Your Health, by Dr. Tom McGuire. This is the most informative A to Z guide about these fillings available today. Written for patients, dentists and health professionals it is a must read if you want learn all you can about these fillings. Contains over 300 scientific references. Click Here for more information. Discounted membership in Dr. McGuire's Mercury Free and Mercury Safe Dentist Internet Listing Directory. Dr. McGuire has compiled the most comprehensive listing of Mercury Safe and Mercury Free dentists in the world. This listing, found on his website, has the highest ranking by Google, Yahoo, and MSN than any other mercury safe dentist directory. More and more people are using the Internet to find Mercury Safe Dentists and his listing is the best way to insure you have a prominent Internet presence! His website is also the most popular, informative and most visited of any website dealing with Mercury Safe and Mercury Free dentistry and the important relationship of oral to overall health. Membership in Dr. McGuire's listing service will dramatically, and cost-effectively, increase your Internet exposure and bring patients seeking Mercury Safe dentists to your practice. The many benefits of membership will be covered in the DVD. Those who purchase the DVD will also receive a $50 discount on a one-year membership and $100 on a two-year membership. To learn more about the advantages of membership, Click Here.